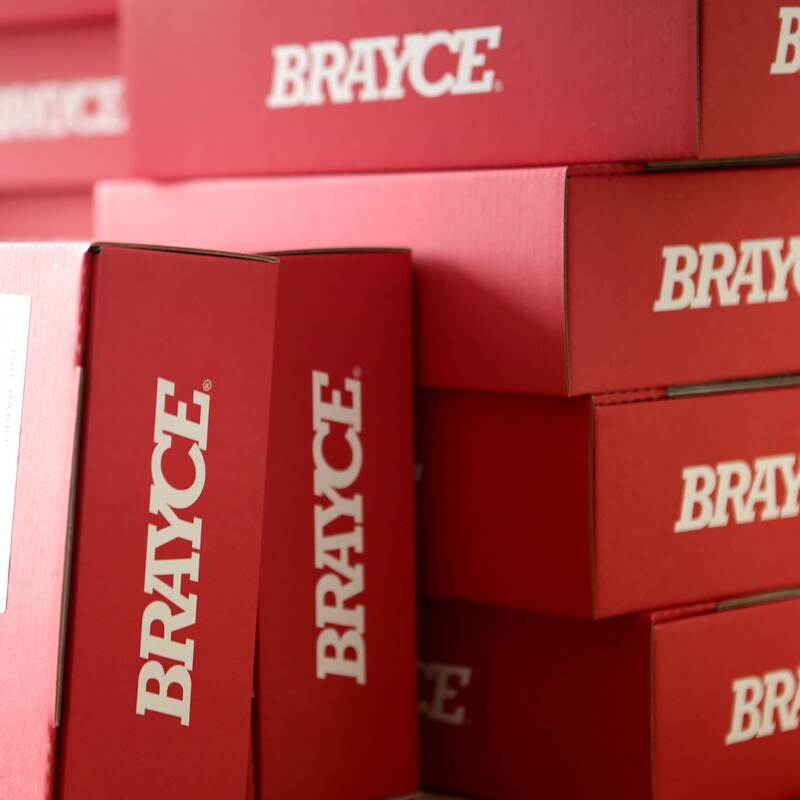 Feel the grip of your BRAYCE® in the tyre tread look and wear the tyre around your wrist. 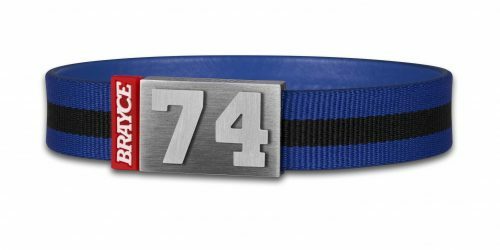 Your motorsport BRAYCE® is made of SuperSoft Silicone, so you can simply wear it anywhere you go – or drive! 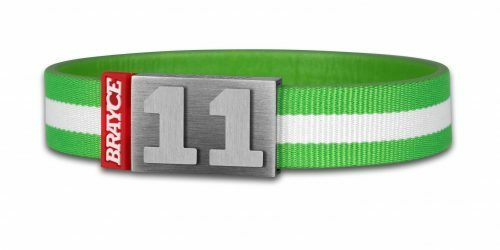 Add your starting number to the uncrashable closure, made of nickel-free stainless steel, and lower the center of gravity to your wrist! A clever and elegant solution: The original MagAttrac® closure is hidden and invisible from the outside!Be part of the racing team! On the race track, the choice of tyres often determines victory and defeat. 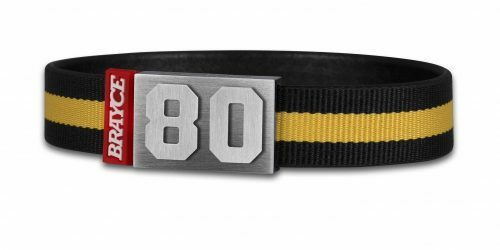 With our tyre tread bracelet you are always on the winning side – on and off the track! 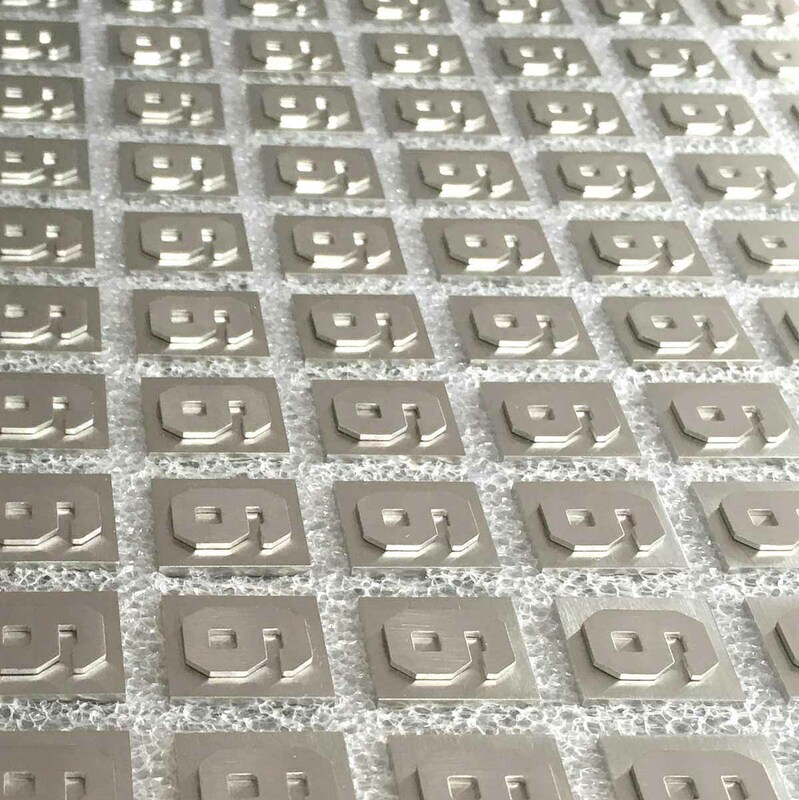 In terms of appearance, wearing comfort and quality, your high-quality and highly customizable piece of jewelry occupies the pole position among the sports bracelets. This handcrafted tyre tread bracelet comes in the authentic tyre tread style and is a real eye-catcher thanks to this authentic motorsport look. 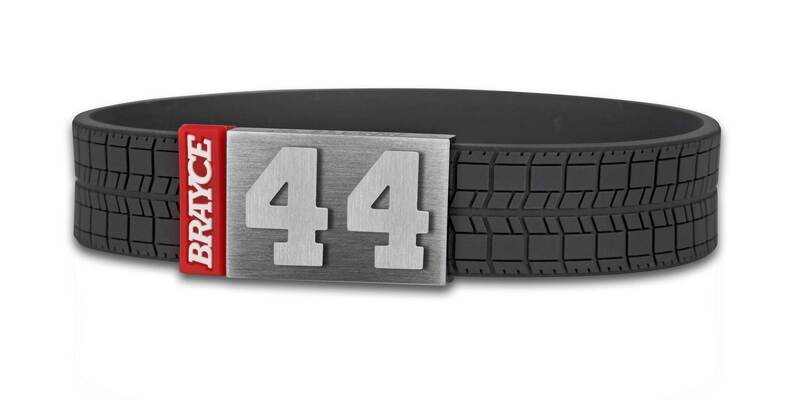 Your starting number on your tyre tread bracelet rounds off the racing look. As a racing driver you love howling engines and screeching tires when you sit in your vehicle with your own start number? Or do you live out your passion for a racing driver and his start number as an enthusiastic fan? 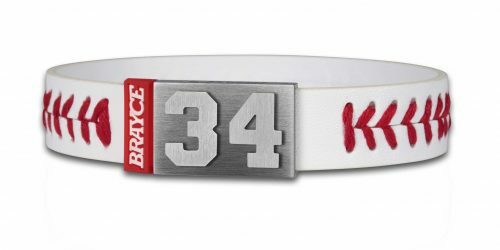 Then this number belongs on your fan bracelet. 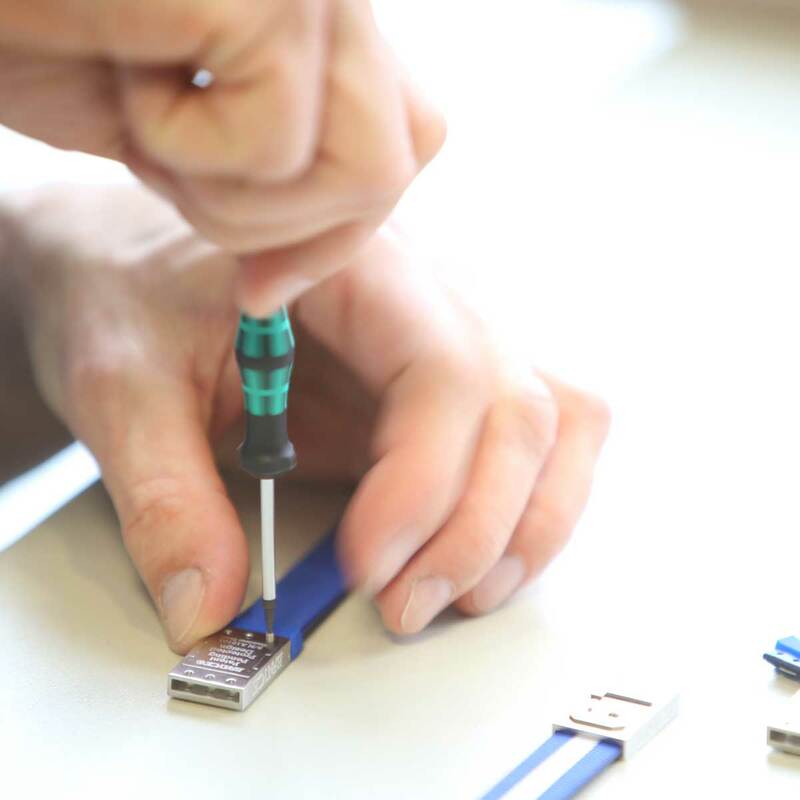 Your own favorite number literally holds your tyre tread bracelet together – comparable to the engine in your car. 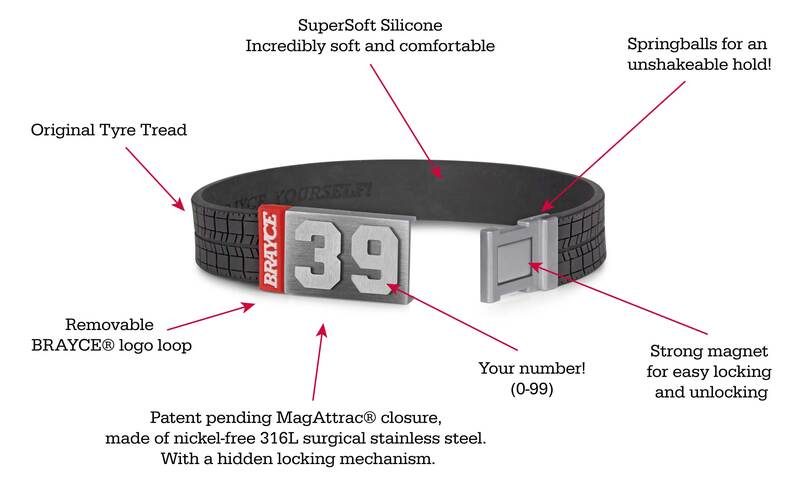 Your favorite number is incorporated into the patented MagAttrac® closure. You love the tyre tread bracelet? 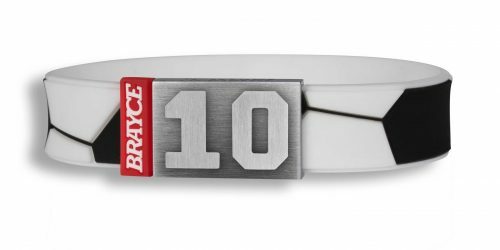 Then we at BRAYCE® even make it possible for you to change bracelet thanks to our motorsport collection! 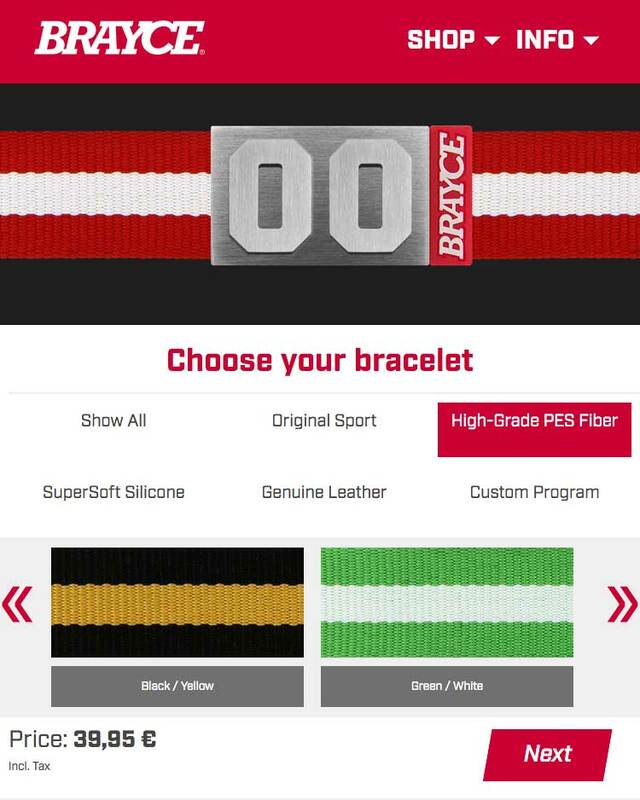 As a young and dynamic sports brand, we at BRAYCE® have created further sporty and elegant silicone bracelets like racing tyre, motocross and motobike in other authentic tyre designs. 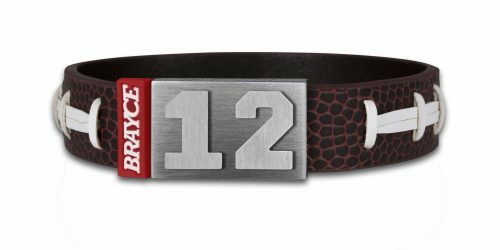 Next to our motorsports collection we also produce team-colored bracelets, called the jersey bracelet. These stylish bracelets with your favorite player number (0-99) are made of high-grade PES fibre (finely woven synthetic fibres in a wide variety of colour combinations).